Hydraulics | WEST Consultants, Inc. The WEST staff is expert in the development and application of hydraulic models for surface water. 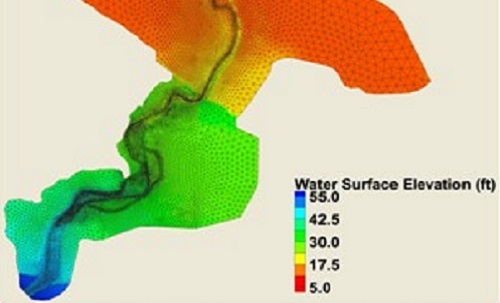 We conduct hydraulic modeling for a wide variety of purposes, including flood risk assessment, dam and levee safety evaluation, hydraulic impact assessment, scour potential evaluation and mitigation, and hydraulic structure design. WEST personnel are expert users of the HEC-GeoRAS extension for both pre- and post-processing of hydraulic model data and routinely use HEC-GeoRAS to develop GIS-based data for use in the development of hydraulic models.